THE GOVERNMENT IS looking for a new Irish judge to travel to Strasbourg and work with the European Court of Human Rights (ECtHR). A lawmaker is nominated by Government, who will then seek election for the role at the Parliamentary Assembly of the Council of Europe at its session in April 2015. But hang on, don’t go reaching for your CV just yet. Applicants must be “of high moral character and must either possess the qualifications required for appointment to high judicial office or be jurisconsults of recognised competence”. The job listing adds that the judge must not get up to anything that could conflict with their role during their nine years in office. 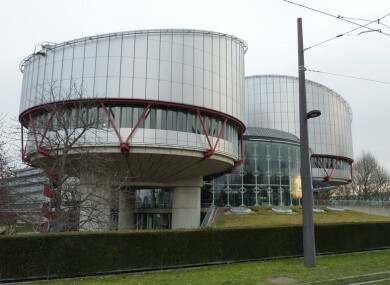 The ECtHR was established in 1959, and was given further effect in Irish law in 2003. The current judge with respect to Ireland is Ann Power-Forde, who assumed her position in 2008. She was appointed Senior Counsel two years previous. Previous judges elected with respect to Ireland are John Hedigan (1998-2007), Brian Walsh (1980-1998), Philip O’Donoghue (1971-1980), Conor Alexander Maguire (1965-1971), and Richard McGonigal (1959-1964). Earlier this year, the ECtHR found in favour of Louise O’Keeffe in her case against the Irish state, making it liable for the sexual abuse she suffered at the hands of her primary school principal. However, last month she said he’s been “very disappointed” by the State’s response. Email “Ireland needs to send a new judge to the European Court of Human Rights”. Feedback on “Ireland needs to send a new judge to the European Court of Human Rights”.